Arturo Fuente delivers some of the finest hand-made cigars filled with extremely pleasurable ingredients and wrapped in top-class tobacco. With their history dating way back to 1912, Arturo Fuente Cigars are well-known for their mellow flavor and are available in medium to full-bodied varieties. 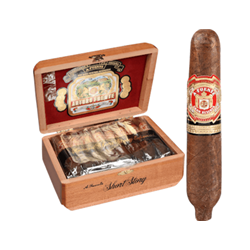 Buy Arturo Fuente Cigars top line products that include Churchill, Don Carlos, Hemmingway, Royal Salute and many more. With us, you can buy discount cigars and save significantly on an extended smoking experience. We are among the top destinations to buy Arturo Fuente Cigars online boasting of the world-class wrappers like Candela, Connecticut and Cameroon among others.